The natural beauty of the central coast is hard to miss; cliff-lined beaches, beautiful mountains, rolling vineyards, and that barely scratches the surface. 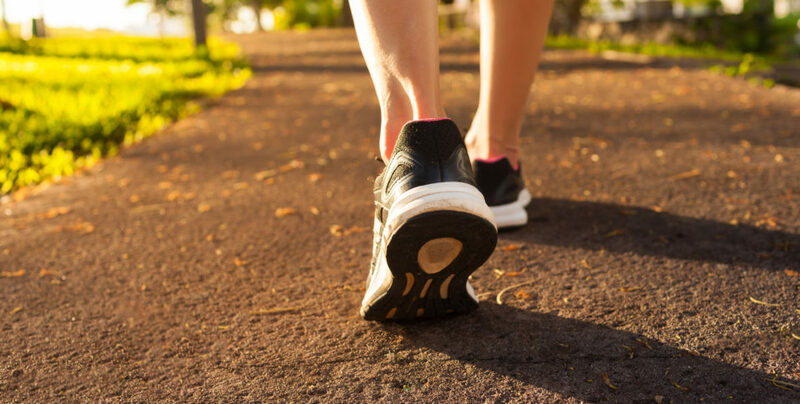 While hiking is a favorite pastime here on the Central Coast, there are times when it’s best to leave the hiking boots at home, throw on your favorite walking shoes, and just go for a stroll! With it being National Walking Day, we’ve assembled a list of our favorite local walking trails. So the next time you have a free evening (how about tonight? ), give one of these a try! The Bob Jones Trail goes from the city to the sea! 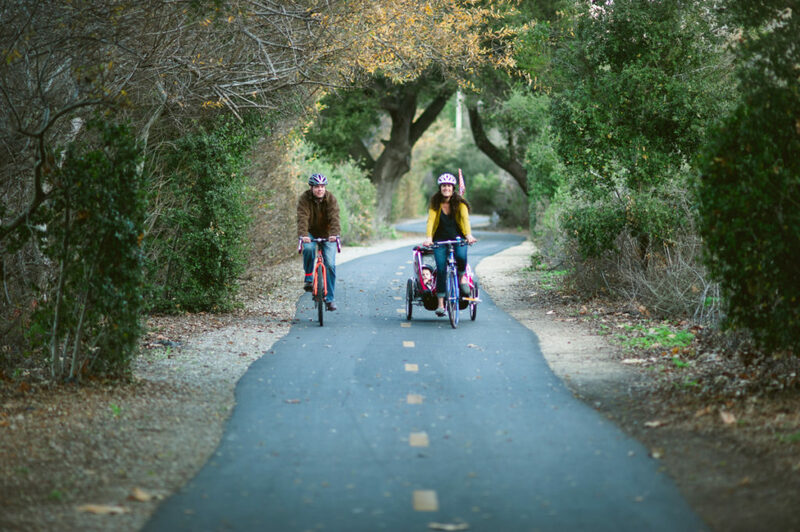 This paved walking/biking trail follows San Luis Obispo Creek, right behind the Avila Valley Barn fields, and ends at the Pier at Avila Beach. This walk is beautiful, depending on the time of year you might even catch the sounds of frogs and flowing water. It’s hard to believe it’s so close to the beach! To get to the trailhead, Exit the 101 at Avila Beach and head west. Turn right on Ontario Rd, go past the KOA campground and you will see a parking lot off to the right. The trail starts right across the street! This trail is perfect for those staying at Avila Lighthouse Suites. Pick the trail up at the pier and follow it out towards Avila Valley Barn! 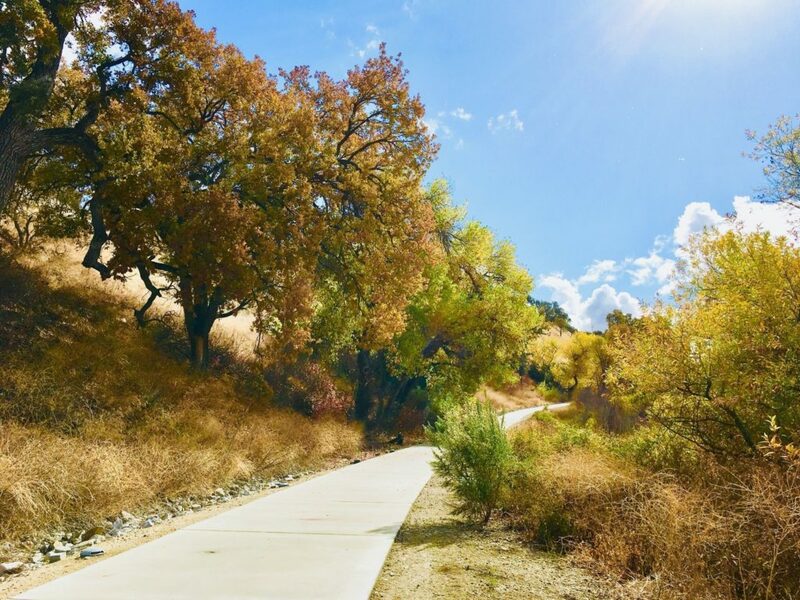 The Salinas River Walk in Paso Robles is one of the first sections of a planned 30-mile trail extending from Santa Margarita in the south to San Miguel. This two-mile trail can be accessed at several places and several portions are paved and easily wheelchair accessible. While Paso can get rather warm during the Summer, this trail gives you some options! You can choose to hike the full 2 miles up to north Paso or wander around the meandering trails and loops near Lawrence Moore Park if you prefer a shorter hike. Either way, it’s a simple and picturesque walk, with plenty of songbirds, chirping insects and flowering poppies to pique your interest. When the trail ends and the hunger sets in, walk a couple of extra blocks to the Steakhouse at the Paso Robles Inn! You’ll be glad you did. The California Coastal Trail (“The CCT”) is one of the great trails of our nation. When completed, it will extend 1,200 miles from Oregon to Mexico. As of today, roughly half of the CCT is complete. The trail will benefit citizens and tourists alike. In 2015, Martin Resorts began a restoration project along the coast of Pismo Beach. 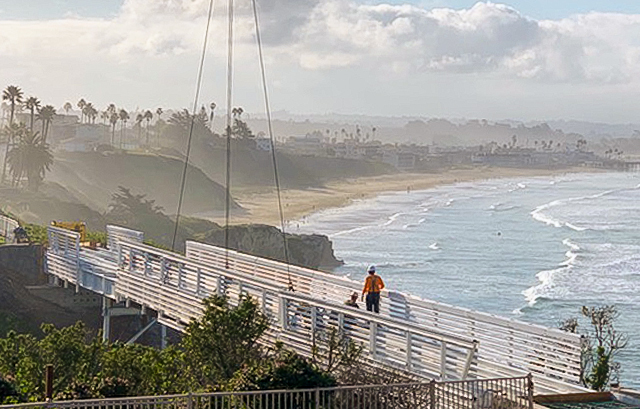 The work was divided into 12 individual site projects, one of which is a beautiful pedestrian bridge that will connect Shore Cliff Hotel and Pismo Lighthouse Suites—taking another step towards completing the CCT. Next time you stay at one of our Pismo beach properties, make the CCT part of your stay! For more information about how you can enjoy the completed portions of the CCT click here.